Our project consisted of carrying out a study and conception of a smart control system in the form of an Automated Guided Vehicle. This project was managed in collaboration with the ECAM school in Strasbourg, our client. The main goal of this project was to show what a factory can be in the future and how it is possible to automate a factory of the future. 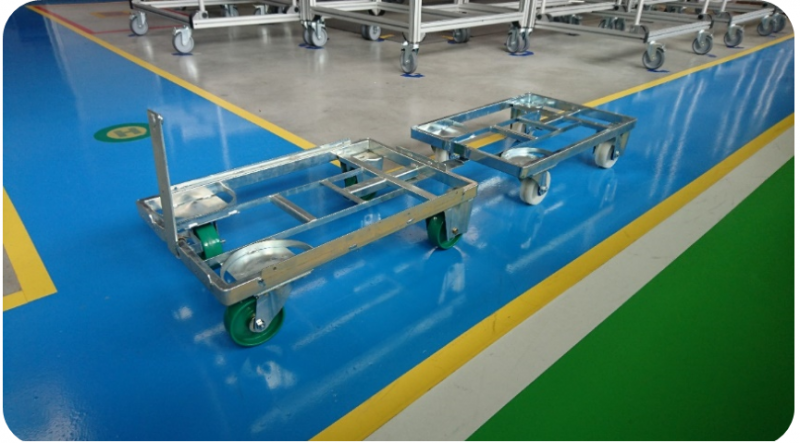 An Automated Guided Vehicle, also called AGV, is a robot/cart that follows wires in the floor, or uses a wireless technology for navigation. They are usually used in the industrial world to move materials, equipment, goods, etc. around a factory. Application of the Automatic Guided Vehicle has been developing this past century. Our Automated Guided Vehicle will be used in the main building of the ECAM school and will go from Lab3 to Lab2 by itself. 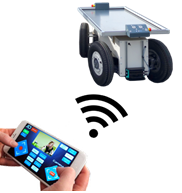 The cart can carry a package up to about 250 kg. ECAM asked INSA to carry out this project of building a more modern Automatic Guided Vehicle that is autonomous and wireless. The wireless technology is not well developed in the industrial world yet. Guidance should not rely on wire-guided solutions, but rather obstacle detection and triangulation solutions based on UWB equipment. As its name suggests, the operating principle rests on the use of ultrasounds. These are acoustic waves whose frequency is too high to be audible by the human being. The ultrasonic measurement makes it possible to measure without contact with the object. The transmitter and receiver are in the same block. The transmitter sends a train of waves that will reflect on the object to detect detection and then return to the source. The time taken to go back and forth determines the distance. Web applications are simply a website adapted to smartphone and tablet formats. A mobile website is accessed from the web browser by entering the website URL in the navigation bar. As a result, no download is necessary. The update of a mobile web page is done in the mobile world. Everything happens online automatically. 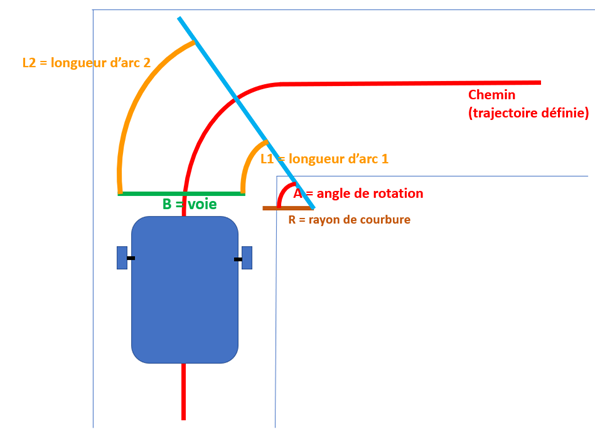 In our system, we chose to set up a gyration with an electric differential. We needed to calculate the speed of each wheel according to the desired angle of gyration. Automatic Guided Vehicles play an indispensable role in factories and warehouses. In helping people to work quicker, this technology allows the company to become more efficient. But here’s the problem: since everything is automated and guided from a computer, there is no human communication. So, in the future, it would be necessary to develop a system that can communicate like a human and interact with workers like between two humans. 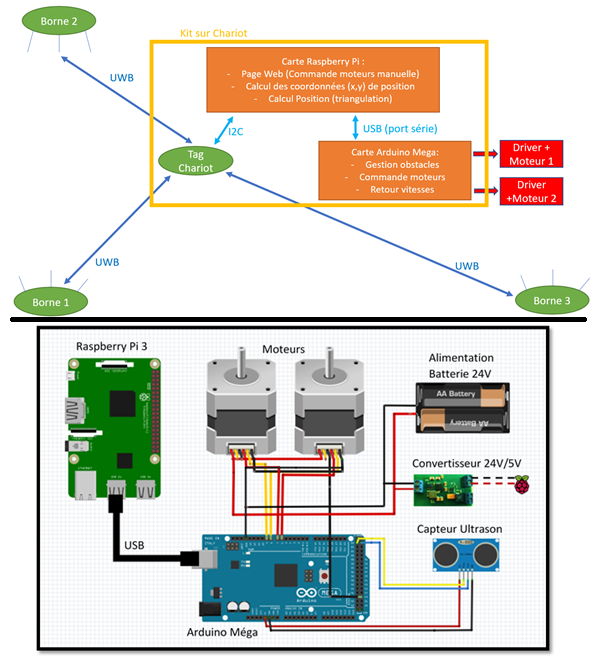 Partager la publication "Project Electrical Engineering – Smart Cart"